Yet another thing I tinker with in my spare time. 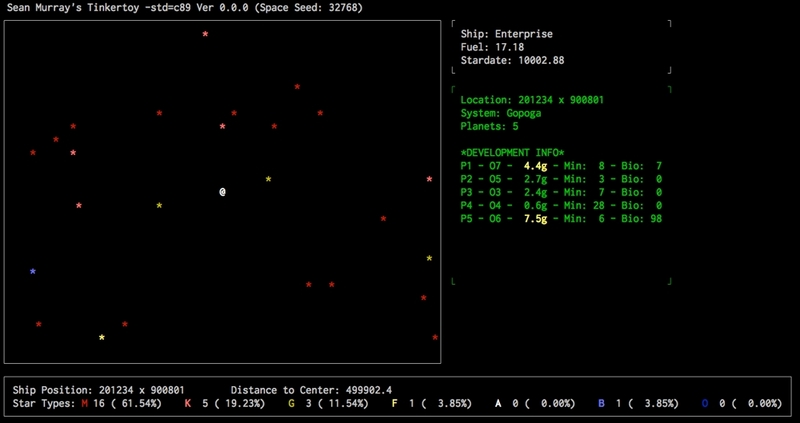 Space Sim is the love child of No Man's Sky and Nethack: An ASCII-based space exploration simulator in a massive procedurally-generated universe. It's also heavily influenced by Starflight. The galactic map is implemented. Eventually ships will be able to enter star systems and land on planets.